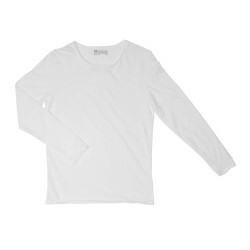 A long armed t-shirt by Bread & Boxers made from soft organic cotton material. A lovely essential top in a classic Swedish design with a cut out neckline and hems. A comfortable, loose fit.